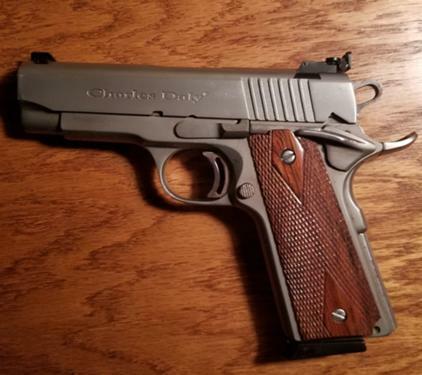 For Sale: Charles Daly 1911A1 Mid-Size(bushing-less 4 inch barrel) 45 acp. "Satinless" finish. Added adjustable rear sight.Ambidextrous safety. Comes with two 8 round mags, original hard plastic case and original owners manual. Asking $400 OBO. Buyer pays transfer costs. Cash only. No trades.